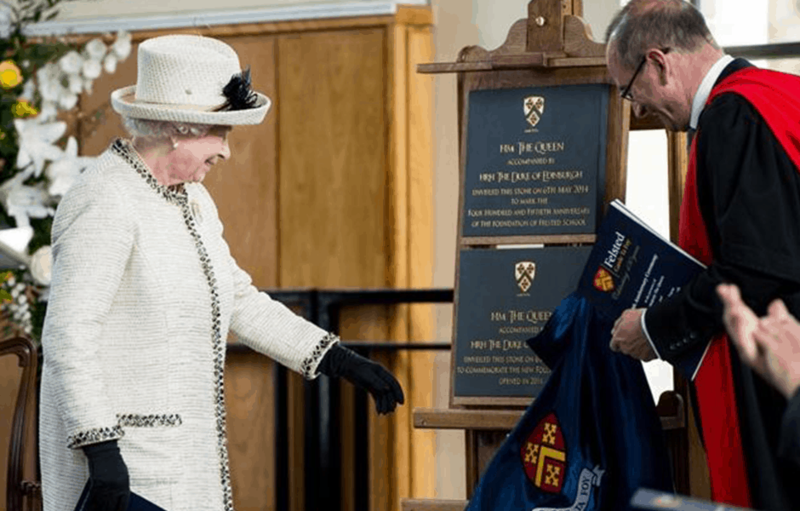 Felsted school enjoyed its crowning moment of the year in May as Her Majesty The Queen and HRH The Duke of Edinburgh visited the School. 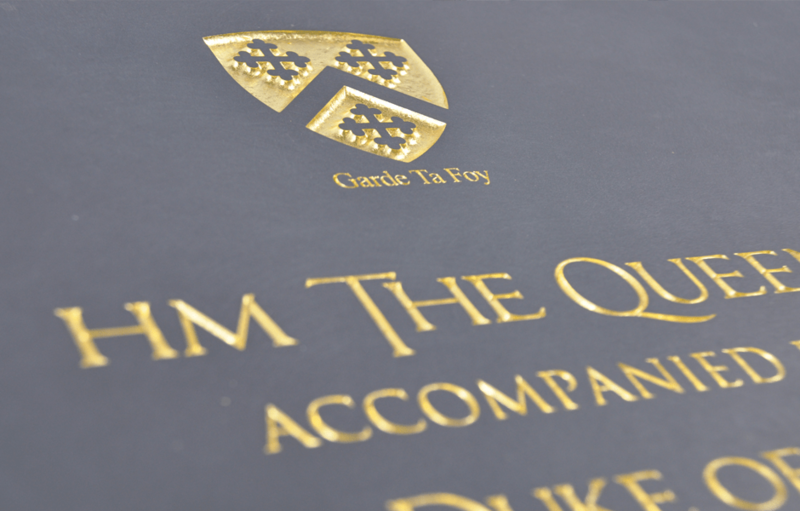 Following in the footsteps of Her Majesty The Queen Mother, who visited for the 400th anniversary, it was an extremely special occasion. 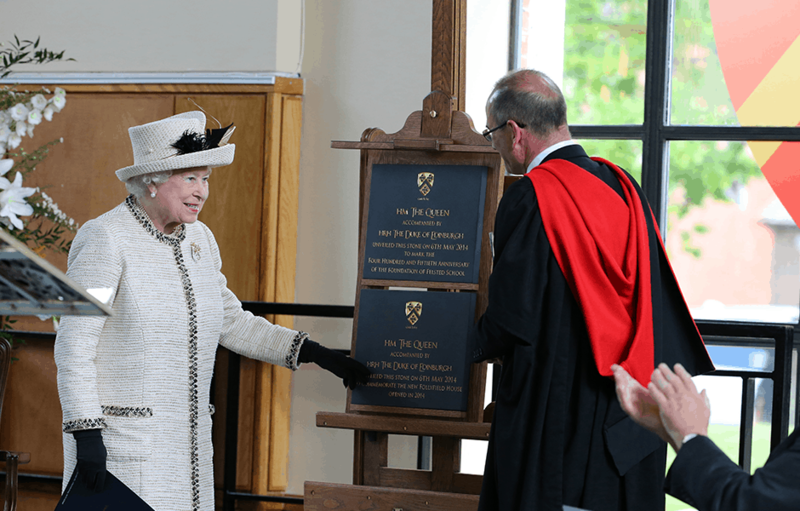 During an extraordinary day Her Majesty unveiled two plaques, these commemorated the 450th anniversary, and also the rebuilding of Follyfield House. 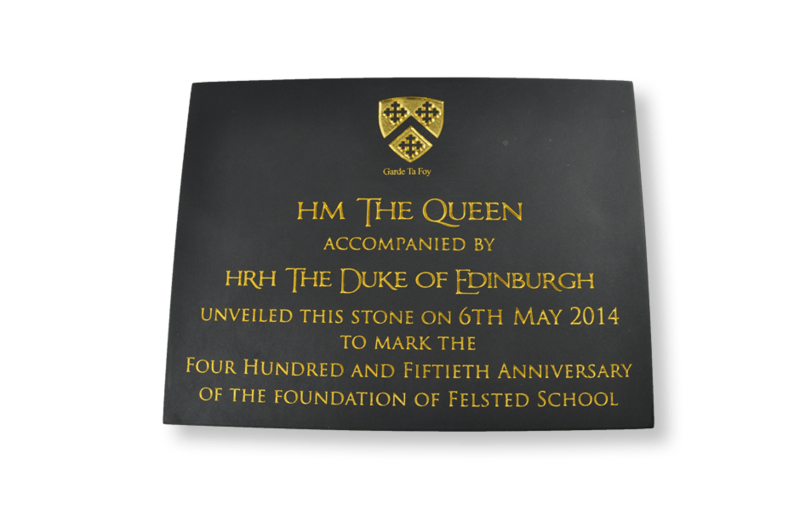 The plaque unveiling was followed by the presentation of a number of gifts, including a boot scraper made by Felsted pupils and staff.